Install ESXi 6.0 Update 3 which has the e1000e driver fix, no additional workaround required. If you have already installed ESXi 6.5 GA or ESXi 6.5a using the USB NIC workaround, then you can easily apply the updated e1000e driver by simply installing it from the ESXi 6.0u3 offline patch bundle zip. Step 1 - Download offline patch bundle update-from-esxi6.0-6.0_update03.zip to your system. Step 2 - Extract update-from-esxi6.0-6.0_update03/vib20/net-e1000e/VMware_bootbank_net-e1000e_3.2.2.1-2vmw.600.3.57.5050593.vib and SCP that to your ESXi 6.5 host. Create a new ESXi 6.5 ISO that contains the updated e1000e driver using PowerCLI's Image Builder. Step 1 - Download both the ESXi 6.5a Image Profile (ESXi650-201701001.zip) and the ESXi 6.0u3 Image Profile (update-from-esxi6.0-6.0_update03.zip) to your desktop and launch a PowerCLI session. Step 3 - Run the following command to retrieve the e1000e driver and make note of the newer version included in ESXi 6.0u3 (should be 3.2.2.1-2vmw.600.3.57.5050593). Remove-EsxSoftwarePackage -ImageProfile "ESXi-6.5.0-20170104001-standard-7thGenNUC" -SoftwarePackage "net-e1000e"
Add-EsxSoftwarePackage -ImageProfile "ESXi-6.5.0-20170104001-standard-7thGenNUC" -SoftwarePackage "net-e1000e 3.2.2.1-2vmw.600.3.57.5050593"
Step 8 - Install ESXi onto the NUC using ISO as you normally would (e.g. making a bootable USB key). Create a new ESXi 6.5 ISO that contains the updated e1000e driver using the VCSA's Image Builder GUI (available only in vSphere 6.5). Step 2 - Enable the Image Builder service under Administration->System Configuration->Services, logout and log back in for the Image Builder UI to appear (under Auto Deploy section). Step 3 - Click on the "Add Software Depot" and create a custom depot which will be used to hold our custom Image Profile. Step 4 - Click on the "Import Software Depot" and import both ESXi 6.5a and ESXi 6.5u3 Image Profile zip. Step 5 - Select the custom depot you had created in Step 3 and click on the "New Image Profile" to create a new Image Profile, then provide a name and vendor. 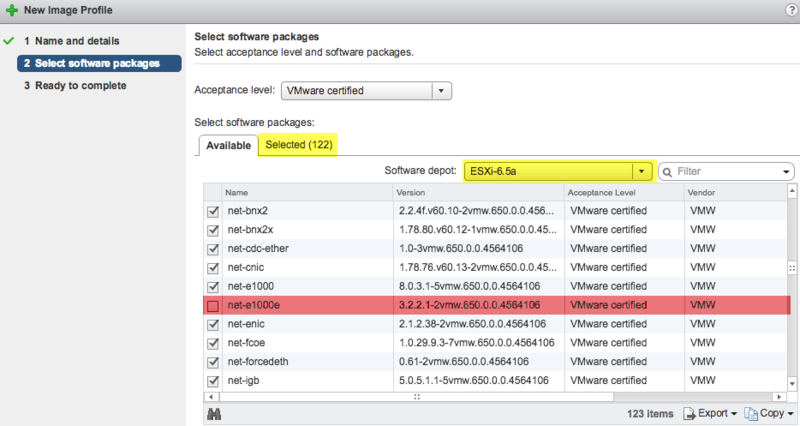 Step 6 - Now, in the "Select Software Package", we will toggle the software depot dropdown menu to ESXi 6.5a and we need to select ALL packages EXCEPT for the net-e1000e and ne1000 package. Step 7 - Next, we need to toggle the software depot dropdown menu once more to ESXi 6.0u3 and then select the new net-e1000e package which we want to include in our ESXi 6.5a custom image. To fix that issue do we need to wait for patch or completely new ESXI version (f.e. v.7)? Wow! Awesome job! Thank you so much !!! thanks for your article and the informations. I also have a NUC7i3 and have the problem to install esxi. I am so happy to see your update, that the ESXI 6.0 U3 supports the NUC7. My problem is, that i can’t download i free version. Only the version 6.0 U2 is available. Do you know why the Version 6.0 U3 ist not downloadable? I used ESXi-Customizer-PS (https://www.v-front.de/p/esxi-customizer-ps.html) to download it. The version 6.0 is working perfectly fine. I used your guide to install the USB Driver, After start i have to manuelly reselect the nic again to enable networking. i was exited when i saw the new about the driver. I managed to update the driver its showing correctly in the package tab on my ESXi but after reboot i dont get an additional network device. i also tried enabling the V219 on the hardware tab but still no success. for this vsi call not loadedSee VMkernel log for details. William, i think with Option 4 (Image Builder) at Step 6, “ne1000” must also be excluded/removed. DerOest, thanks for pointing it out. I spent hours trying to understand why it wasn’t working for me. I have confirmed that you need to remove the “ne1000” when you are building a new image in order to get it to work. William, thanks for putting this together. You may want to get the instructions updated just in case someone else didn’t catch it. One more update 🙂 On Option 3, Step 5 – In addition to what you already have I had to remove the “ne1000” driver to get it to work. The ESXi6.5 update from 2017-03-14 updated the ne1000 driver. And this version ist part of the new ESXi6.5d. Did anybody test this versions on a NUC7 already? The resolved driver is NOT in the recently released ESXi 6.5d, so the instructions above are still applicable. 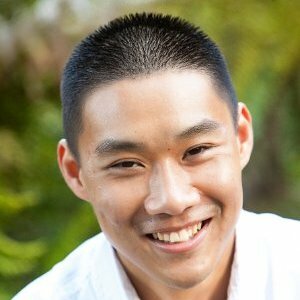 William, your website is a gem, thanks for everything. I am about to purchase my first NUC cluster, but I understand the SD Card reader presents an issue. I started to compile a bit of information regarding the Realtek Card Reader, but before I go down the rabbit hole I wanted to ask if you’ve been able to get it working? You sure? I have installed 6.5d and the network interface got recognised without issues. Or are there other bugs/stability issues with the driver included 6.5d ? How likely is it for there to be an ESXi driver for the SD card reader so it can be used for ESXi installation? thanks for the instruction, the only problem i have is that i am not allowed to download the patches, or even 6.0 update3. Will try the USB nic tomorrow. i had the same problem. the links in the artical dont work for some reason. I manage to find the Patch Center where you can download the needed files with a “normal” account. go to https://my.vmware.com/group/vmware/patch?src=vmw_so_vex_fgreh_241#search select “ESXi (Embedded…)” select verison 6.0.0 download update-from-esxi6.0-6.0_update03 and extract the necessary vib from there. Driver works great, thanks for that! Just a quiestion tho, any plans to add Jumbo Frames support ? I would love to see that working ! Does the above work for ESXi 5.5 as well? A lot of the instructions reference 6.0 and 6.5, and having no experience with these sorts of modifications, I’m not familiar with their meaning. Tested ESXi 6.7. All is working fine and shutdown is also working. Is it the same for the Apollo Lake NUC (Celeron)? Have tried everything and can’t seem to get it to work?